Ultra cheap Android phones have been available in the market for a while now but almost all of them have compromised the build quality to get there. Its a refreshing change to see a manufacturer trying to get the hardware quality right while also hitting the bargain basement price point. 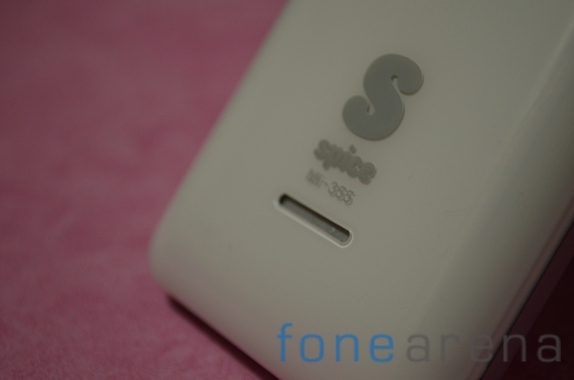 Does Spice Mobile succeed with the Stellar Craze (MI-355) ? Read on to find out. The inbox contents of the Spice Stellar Craze are nothing out of the ordinary. The following items are included in the box alongside the phone. 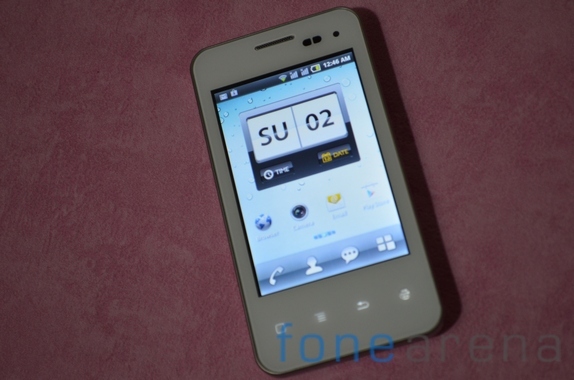 The Spice Stellar Craze is one of the smaller models out there coming in with a 3.5 inch screen. That said, the hardware is adequately solid. The body of the phone feels sturdy and perfectly capable of withstanding daily use and abuse. 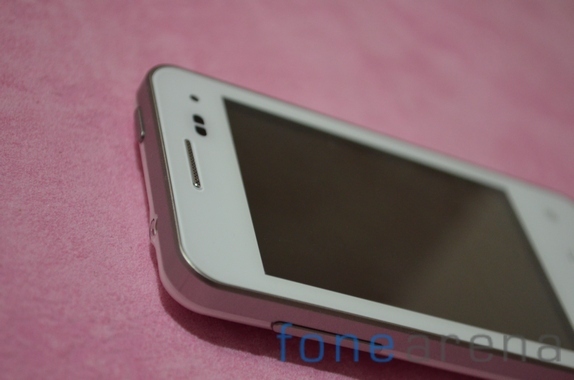 As is the norm, the phone has an extremely glossy back panel and display. Our white sample did not show any scratches on the back of the phone.The phone is bereft of any controls on the right with the left sporting the volume rocker. The top of the device has the 3.5mm jack as well as the power key. We weren’t too satisfied with the feedback from the keys and a bit more depth would have helped. 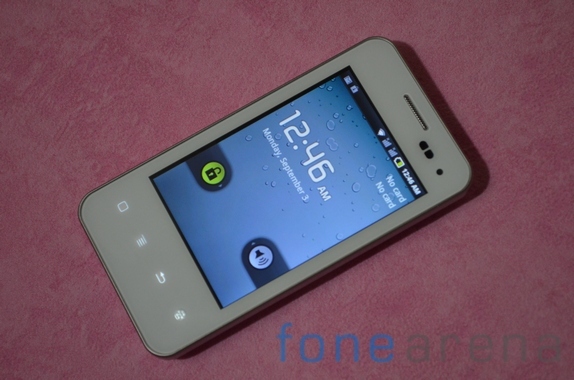 Under the display is a row of capacitive buttons which correspond to various functions in Android. We’re not big fans of the massive amount of bezel below the screen. Spice could have easily reduced this massive amount of bezel under the display thereby reducing the overall size of the phone. 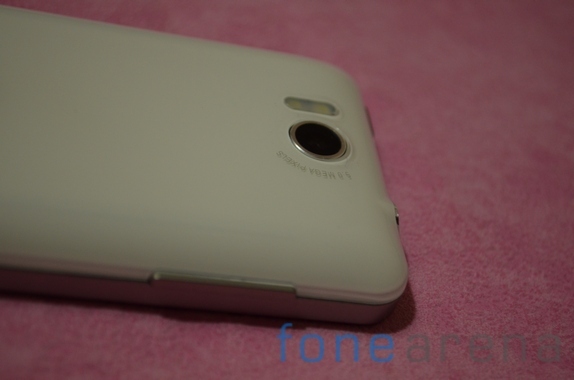 Over at the back of the phone, you can spot a 5MP camera with a dual LED flash. Towards the bottom we have the speaker slot with the Spice logo above it. 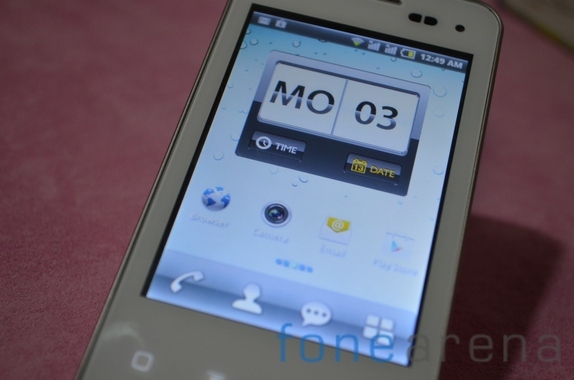 The screen on the Spice MI-355 is a 3.5 inch panel with resolution of just 320×480. Not impressive at all. Brightness levels felt fairly adequate but contrast levels were quite low. Viewing angles weren’t great and looking at the screen anything other than head-on results in completely washed out colors. There are compromises to be made when you reach the ultra budget category of Android devices. With an 800Mhz MSM7625 chip coupled with an Adreno 200 GPU, performance is strictly average. RAM is 512MB and there is about 210MB of space on board to install apps. The phone managed to score just 1310 in Quadrant which is well behind the competition. Quadrant measures CPU, I/O and 3D graphics performance. The OS running the show here is Android 2.3.6. Spice has heavily customized the interface but the end result is quite visually appealing. Transitions remain smooth and there are quick access notification toggles. As with most low end Android devices, do not hold out for an upgrade to a higher version of Android on this phone. There’s a 5MP camera over at the back of the MI-355 and is paired with a nice and bright dual LED flash. The camera quality is not that great with over saturated colors being a problem. The camera underexposes as well which results in darkened out images. Macro performance isn’t particularly great either as can be seen here. 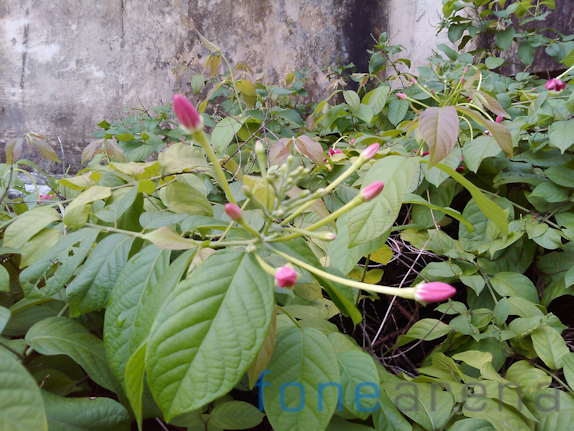 The camera refused to focus on the flower in the foreground. 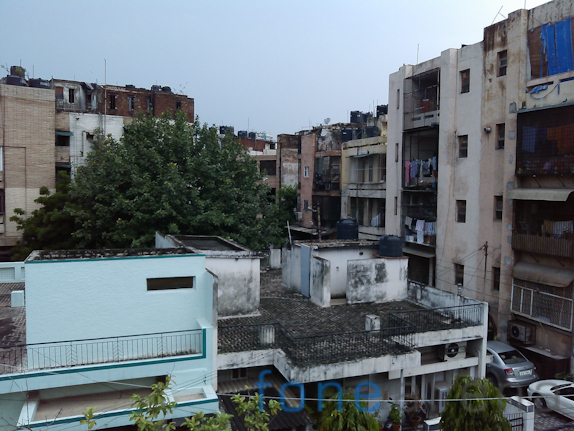 Coming to video performance, the camera can capture videos at a maximum resolution of 352 × 288. This is absolutely unacceptable for a smartphone being sold today. Video demo embedded above. There’s about 200MB of space available for apps on the phone. You will most definitely be needing a memory card here as the phone won’t let you take any pics without inserting a microSD card. The phone is unable to play 720p content so the best you’ll be doing here is standard definition avi files. Audio quality is reasonable though the provided headset is particularly bad. You’d be served well by a slightly better headset. The 1400 mAH battery coupled with the small low resolution display and low end specs should ensure over a day of usage time. We were able to stretch the phone over a work day. Expect to charge the phone every night. 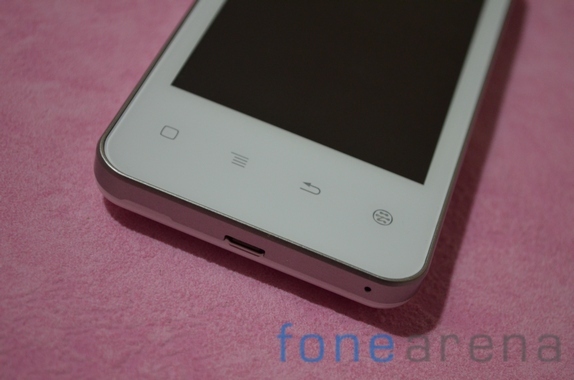 The Spice Stellar Spice Craze MI-355 is a well built Android device which unfortunately compromises on hardware specifications. If all you want is a phone which looks good and provides basic smart capabilities revolving around emails, messaging and IM, the Spice should serve you well. Demanding tasks are totally out of the league of this smartphone as it slows down to a crawl even with moderately heavy websites. Look at it if you value style over function and are on a strict budget. The Spice Stellar Craze MI-355 is available for under Rs. 7,999.